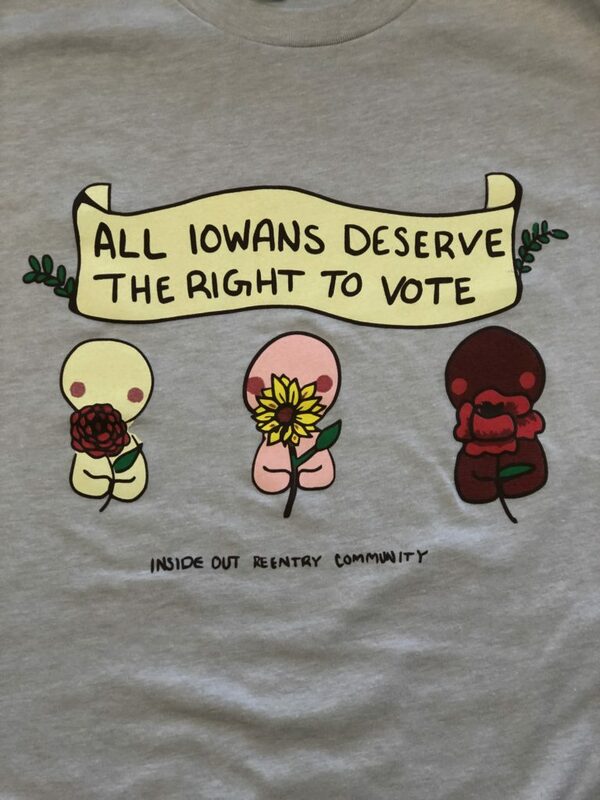 Advocate for voting rights for formerly incarcerated people by wearing a conversation-starting t-shirt from Inside Out Reentry Community! 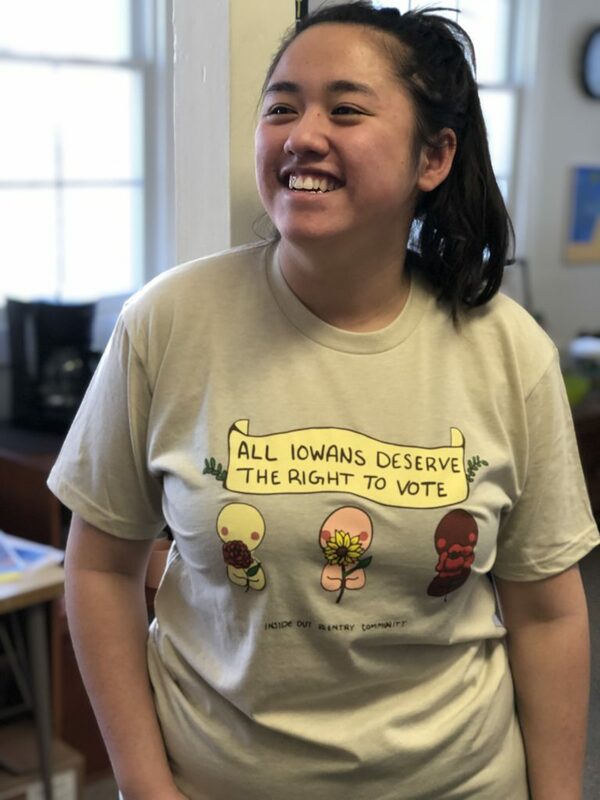 Proceeds from voting rights t-shirt sales will go toward assisting formerly incarcerated individuals with their voting restoration applications (e.g., paying off fines) and other needed services. The cream-colored shirt is a soft cotton/polyester blend, machine wash cold. 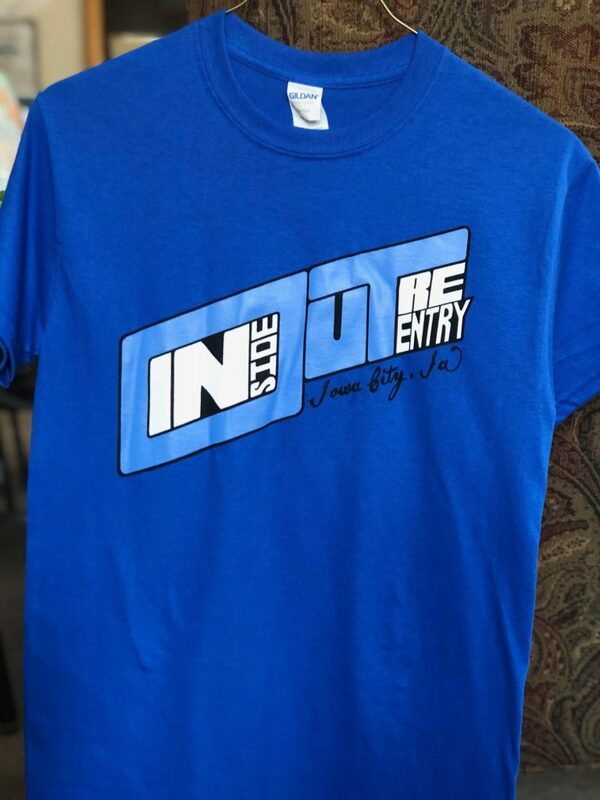 Please feel free to drop by during our office hours to pick one up without shipping costs!